Tulips, lilacs, and peonies are in season every spring in my backyard. After cutting a few fine specimens, I find myself searching for a beautiful vase to display them in. Up until now, I had not thought to decorate using beautiful vases in my home. I had my vases hidden away because they were rather drab and boring. Simple unadorned clear glass vases that only look nice when the flowers are added and even then no one notices the vase. For me that is all about to change because I have decided that a vase can be a piece of art and a part of my interior design all on its own. Flowers will become optional and will only add to the beauty of my display. Many of the lovely vases that I have showcased in this article came from some of my favorite online shopping sites, including Amazon, Wayfair and other sites. I hope you can find your own piece of beautiful art here as well as some ideas for how to display them. I’ll be adding great new vases as I find them. 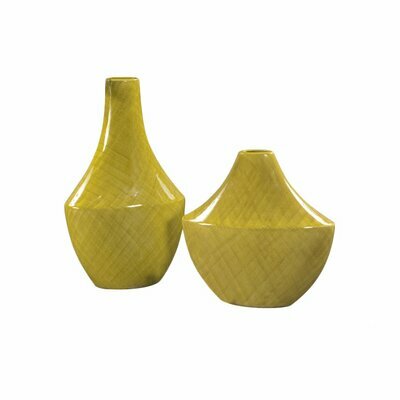 Decorate your house, apartment, or office with ceramic vases in a variety of forms. Your vase can be elegant, contemporary, or have an antique look to it. Pick a style that compliments your decor and the colors in your room. Personally, I like to use a contrasting color for my vases. When decorating with porcelain you achieve a more delicate and refined look in your interior design. A lovely choice for any room in the house you can choose from a contemporary maker or go with a vintage or even antique porcelain vase. They can be found in every color of the rainbow and in just about any style you prefer. Decorating your house with glass vases can really create an interesting effect. Glass vases do not have to be clear glass anymore. 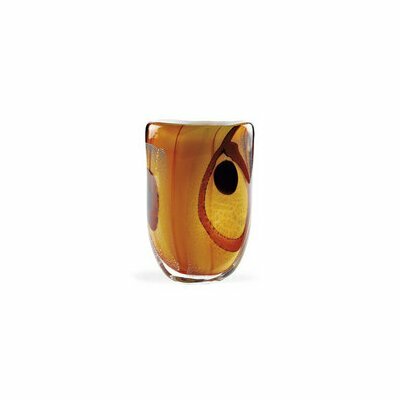 Rich reds, ambers, browns, greens, and just about any color you can visualize can be found in today’s glass vases for our home decor. They can be a solid color or have a design to them. Made of crystal glass which is a more refined glass, vases can define a table with elegance. You can make a dramatic statement with a simple and elegant vase like one of the many Irish Galway Crystal Vases. A vase is an open container typically used to hold cut flowers. It can be made from a number of materials including ceramics,glass, metal, wood, and other materials. Often times the vase is decorated and used to enhance the beauty of the contents it holds. Vases are defined as having a certain form. The foot is the lowest portion giving a distinguishable base to the piece. The design of the base may be bulbous, flat, or different shape. The body forms the main and often largest portion of the piece. Above the body is the shoulder, where the body curves inward. Then the neck, where the vase is given more height. Lastly, the lip, where the vase flares back out at the top. Many vases are also have handles. So, my suggestion is to find a colorful vase to add to your decor that can stand alone or be filled with the flowers of your choice.